Mobile home of 30m "and 1 caravan, all placed on a paved terrace, with table and benches to eat outside under umbrella pines. The whole is located on a private ground (but it is not a campsite !!) with views of wooded hill. The mobile home is equipped with a modern kitchen with oven, stove, microwave, 2 fridges, air conditioning, TV .. Beautiful bathroom with shower and toilet / 1 large parents bedroom / 1 bedroom 2 beds for children / sofa in the living room. The caravan contains 2 beds of 1,20m (couple or children). Absolute calm assured. Private parking with gate code at the entrance. Come enjoy the charm of barbecues or relax on the sun loungers, away from the crowds. 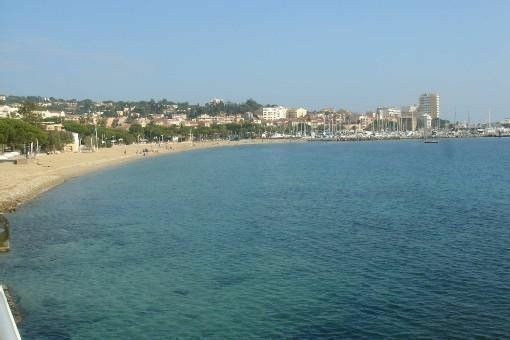 But at 1,5kms, you will find the first shops and at 2kms, the town center of the pretty town of Sainte-Maxime as well as the first beaches which give in front of Saint Tropez. we both enjoyed our stay, made to feel very welcome nice friendly host ,peaceful location, ,lovely outlook, hope to return next year. Meno contenti i loro tre gatti! Le mobile home et caravane bien, mais pas de climatisation (en panne pendant notre séjour dommage) et la télévision obsolète, ce qui nous empêche d'évaluer à 5 étoiles. Sinon emplacement très calme et bien ombragé sous les pins parasols, très apprécié avec les grosses chaleurs pendant notre séjour. Pour les commodités et plages très proches. We had a fantastic time in Sainte-Maxime! A big Merci to Jacky and Christine for the very warm welcoming received and the support during our staying. Their mobile home is beautifully located on very large private garden, full of trees and very intimate, far from the noise and the movida of the village but still close to reach (5 mins by car). Mobile home is very clean, cosy and extremely well equipped. We have 2 small children and found the accomodation perfect for our needs. Children can run free and safe in the garden as all the property is enclosed by a fence and there's a gate at the entrancy. Shops and beach are close. We really enjoyed our staying!